Show your ingenuity! Hack It is a contest where participants resolve a series of challenges or tests in hacking, inverse engineering, cryptography, logic, puzzles, etc. The contest is divided into two modalities: Hack It for levels more proper to programming and inverse engineering, and Solve It, for levels of logic, puzzles and riddles. There will be prizes for the best Hackers and the best Solvers, apart from a first prize for the best team overall. As in the past edition, we will conduct a conference / talk before the contest starts: Hack It / Solve It How-To, where we will explain the different levels and give some ideas on how to participate and solve the challenges. After this meeting, we will hold the already-traditional Hack It Start Meeting. 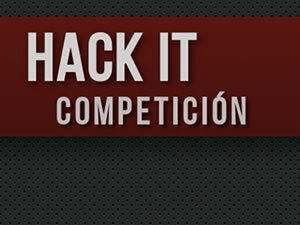 As a novelty in Euskal Encounter 26, and having been welcomed in previous editions, a Post-Hackit Meeting will be held after Hack It / Solve It has finished and before the prizes are awarded, where we will explain the solutions to the levels that at least one team has managed to unblock. The schedules for each activity related to Hack It will be published over the Intranet and on the official programme of Euskal Encounter 26. The complete rules for this activity will be published on the Intranet during the party and at https://hackit.party.eus (solely accessible from the internal network of Euskal Encounter 26).